Contemporary, Modern Slab Conference Tables handmade using solar power, recycled and reclaimed hardwoods….. many items on sale. Old growth Redwood cut approximately 30 Years ago from California 20 feet long, 6 inches thick and 4 feet wide weighing approximately 2000 pounds. 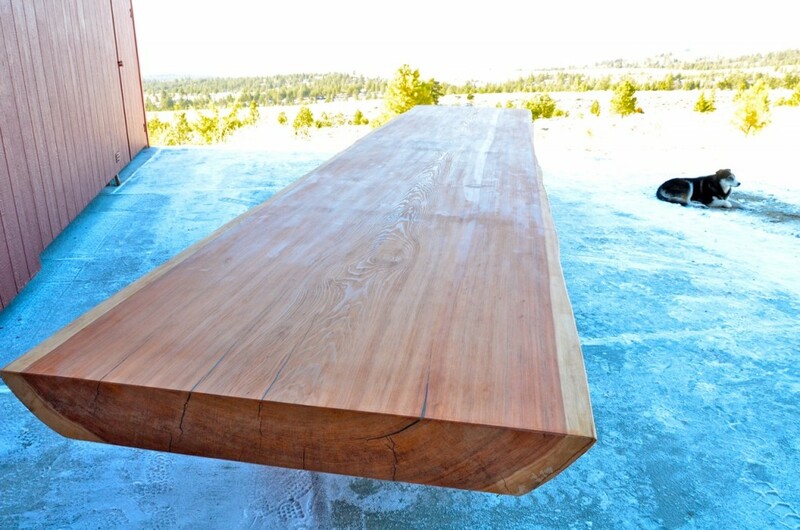 We put this amazing Redwood slab on three stainless steel bases. Call us today for a quote on a wood slab table to meet your needs. The growth rings on this Redwood slab equals approximately 500 years old.